This February Saint Cloche presents ‘MCM’ – an exhibition held in conjunction with the Palm Springs signature event – Modernism week, celebrating Palm Springs’ rich history of mid-century modern design, architecture, art and culture. In the spirit of collaboration, the modernist inspired bold & simplified sculptural works of a Ceramic sculptor Natalie Rosin juxtaposed against the bright contrasted paintings of Emma Lipscombe will transform the gallery space. Taking their cue from Mid-century modern design, known for its ability to take complex concepts and distill them into simple visual forms, these artists will explore the elements of Modern architecture based on abstraction, which is created by clean lines, basic shapes, and forms. For more information, visit the 'MCM' exhibition page here. Special guest speaker Sam Marshall, director at Architect Marshall and best known for being the architects of the recently completed Museum of Contemporary Art Australia. Natalie has been doing ceramics full-time since late 2017. Photo – Jacqui Turk for The Design Files. Ceramics by Natalie Rosin (left to right) ‘Sirius,’ ‘House in a Plum Grove,’ and ‘SOH’. Each sculpture is made from White Stoneware Paper Clay. Photo – Jacqui Turk for The Design Files. 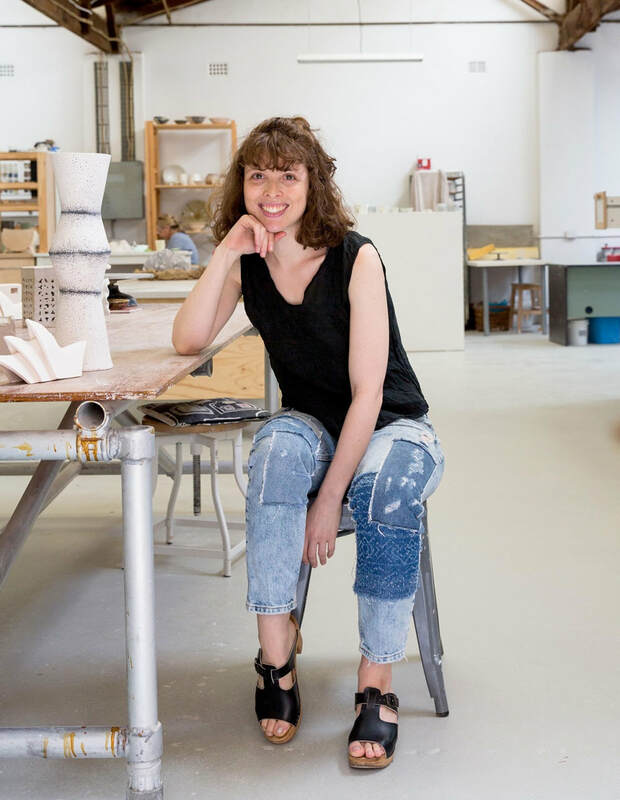 Thanks The Design Files for the beautiful feature article about my current practice in Sydney as a ceramicist. 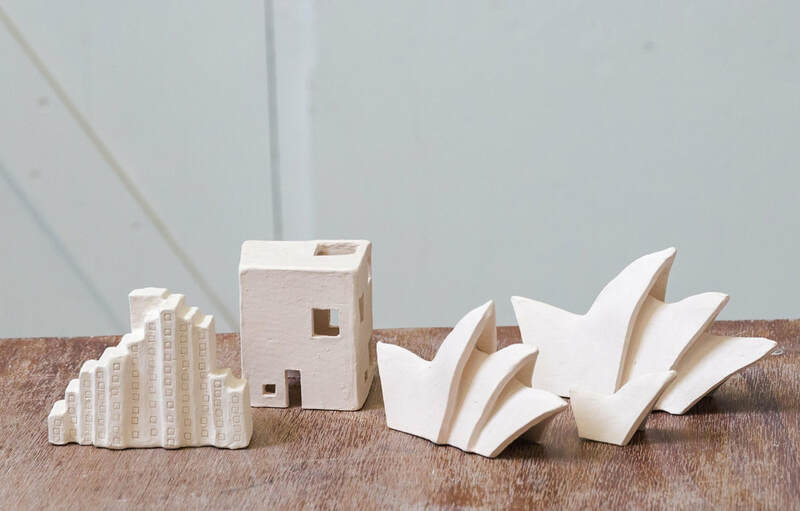 ​Follow the link here to read the full article "The Sydney Opera House, Sirius + Other Sculptural Ceramics." 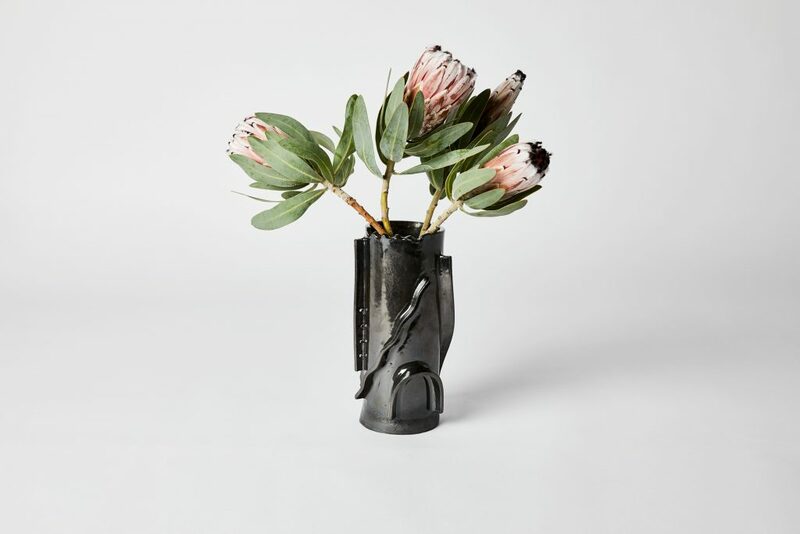 This special edition Collage Vase range in Satin White and Shiny Black is now available through Jardan. ​Visit in store or online here. 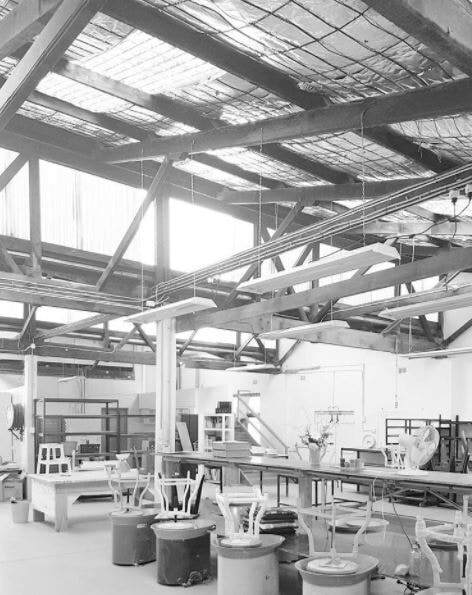 2017 has been an busy year of a new studio location, exhibitions, private commissions and collaborations with amazing stores across Australia. Below are details of highlighted projects during 2017. 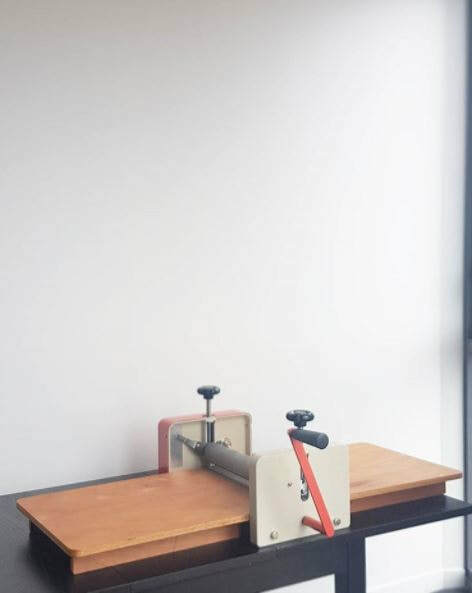 Participating artists Natalie Rosin, Avi Amesbury, Tony Bond, Somchai Charoen, Lynda Draper, Merran Esson, Danica Firulovic, Vicki Grima, Shaun Hayes, Ingrid , Ruth Ju-Shih Li, Bronwyn Kemp, Chantal Labbe, Machico Motoi, Cherie Peyton, Simon Reece and Jo Wood. I’m experiencing an existential crisis. What if our world were a simulation, our creator a far more intelligent human? When technology grows to a point of sophistication where we can perform our own simulated world to observe. Does this new world we’ve birthed develop and reach a stage where an additional simulated environment is created? Generations of simulations, how are we the exception? Maybe a more important question is: does being a simulation matter? Should we rather abandon truth to focus on meaning? 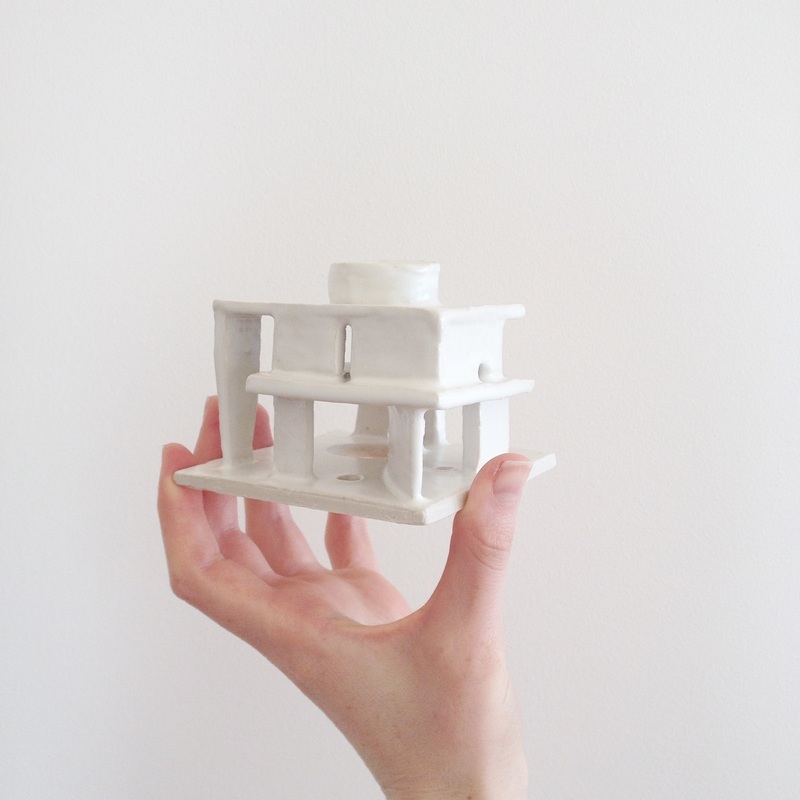 ‘Simulacrum in white’ aims to present a ceramic simulation of my own creation, a white ceramic world. At times there are models of buildings we recognise from our own built environment. How do we distinguish between artefact and simulacrum? Is that question a concern anymore? What if the building is the model, while the sculpture is the architectural conclusion? 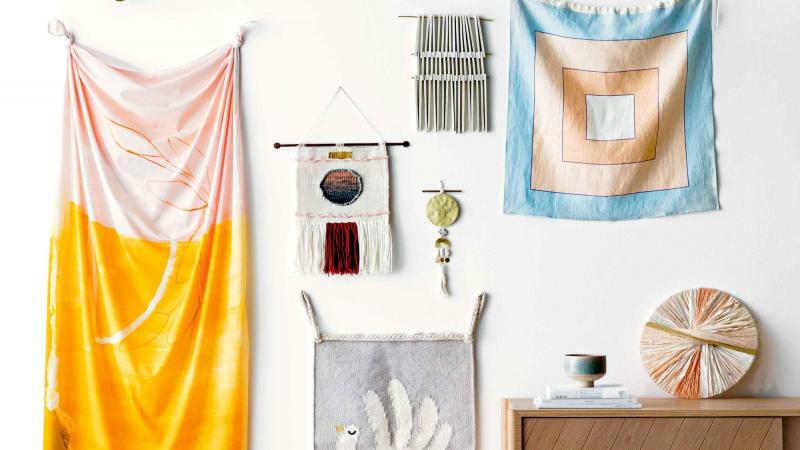 InsideOut magazine has featured the ceramic + brass tapestry wall hanging designed and handmade by myself. Visit their page below for more information about this piece and the beautiful wall art surrounding created by fellow Australian artists. To purchase this piece, visit my online store page included below. 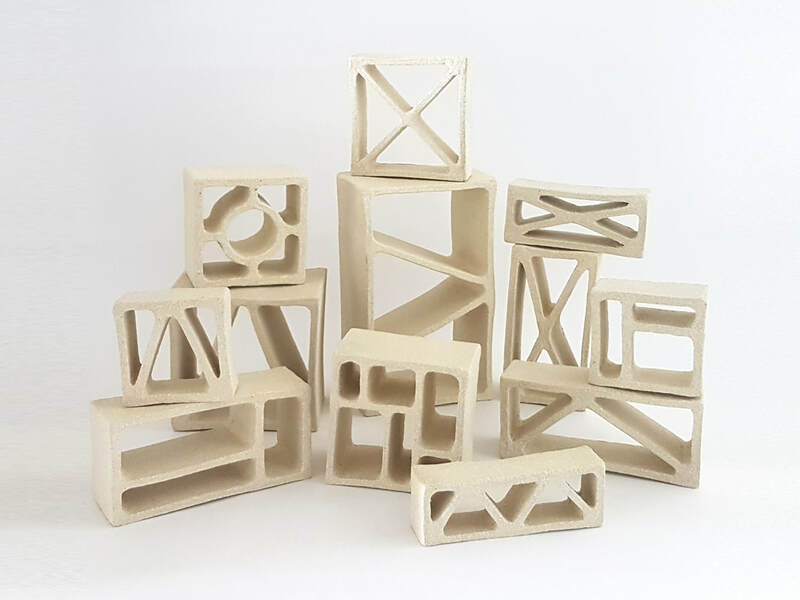 'Houses' are a series of ceramic architectural sculptures available exclusive to Jardan Furniture. 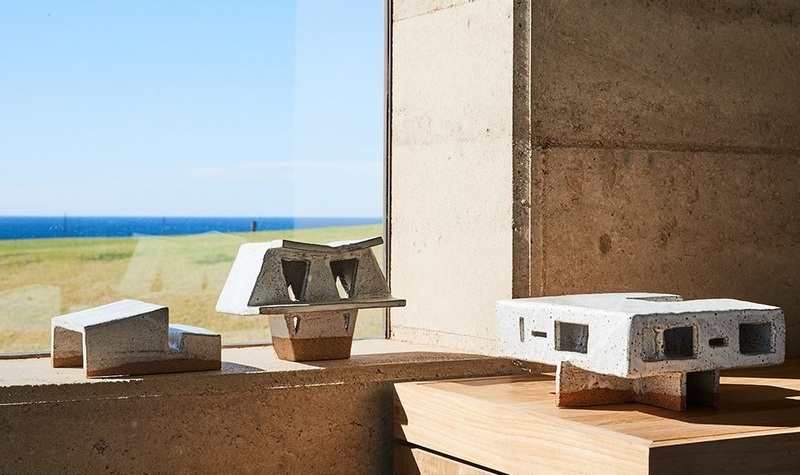 The range are strongly influenced by Australian residential architecture, referencing the design of Rose Seidler House, Buhrich House, Heide II, Featherston House and McCraith House. Visit the Jardan Furniture website here for more information. 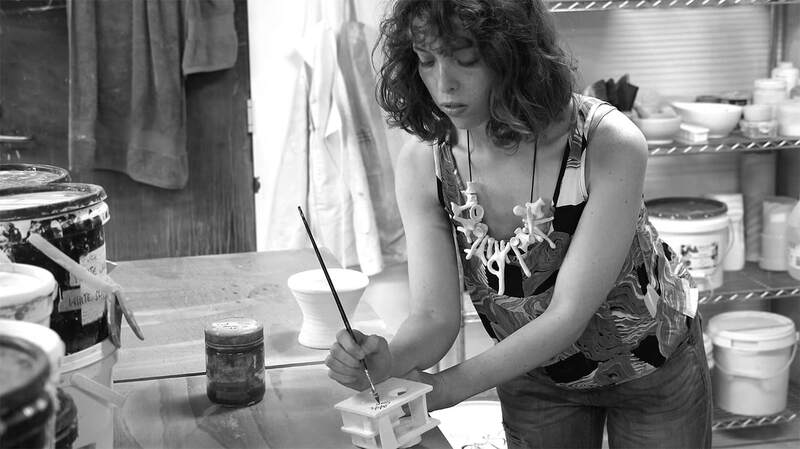 Clay Intersections: Natalie Rosin from Australian Design Centre on Vimeo. Clay Intersections is a group exhibition curated by Catherine Fogarty and features myself along with the talented Kenji Uranishi, Tania Rollond, Bridget Bodenham, Helen Earl, Ulrica Trulsson, Colin Hopkins and Ilona Topolcsanyi. The show explores the different backgrounds and approaches Australian designers/artists from across Australia work with the clay medium. The pieces I've included in "Clay Intersections" are guided by my practice of thinking with the hand and sketching with clay. The philosophy that all ideas are borrowed, nothing is original or new but rather invisible is a key ideology of my practice. Architectural intelligence, awareness and spatial fluency are intrinsic, subconscious traits appreciated by all. 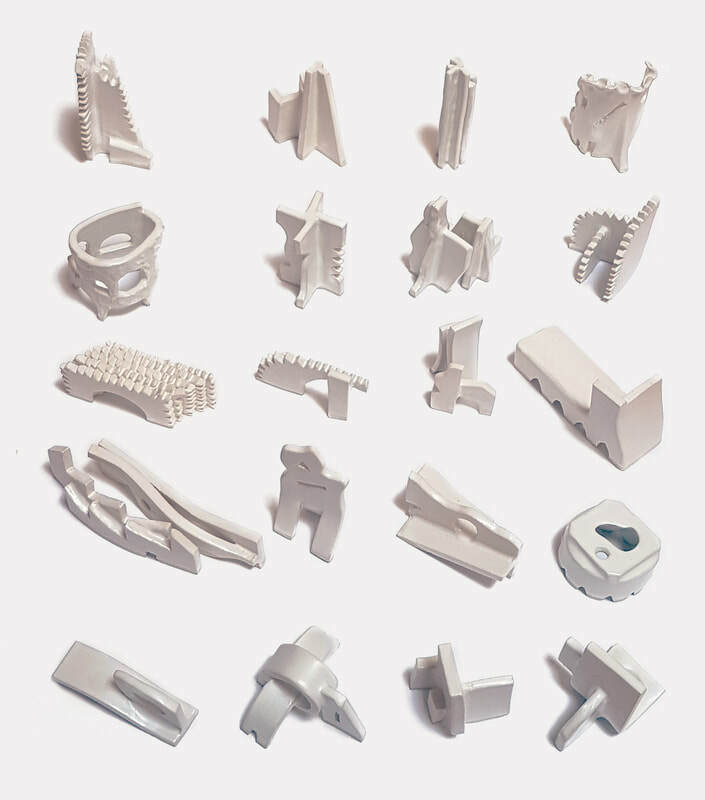 By modelling built forms with clay rather than traditional architectural modelling mediums, I attempt to uncover artefacts aimed to reveal previously invisible spatial concepts. By offering sculptures of existing buildings and imaginary structures, my practice seeks to introduce the audience to a series of shelters. The exhibition is open from 28 July - 21 September 2016 at the Australian Design Centre on William Street, Darlinghurst. Visit their website here for more information. Opening night is Thursday 28th July 6-8pm. Register here to attend. 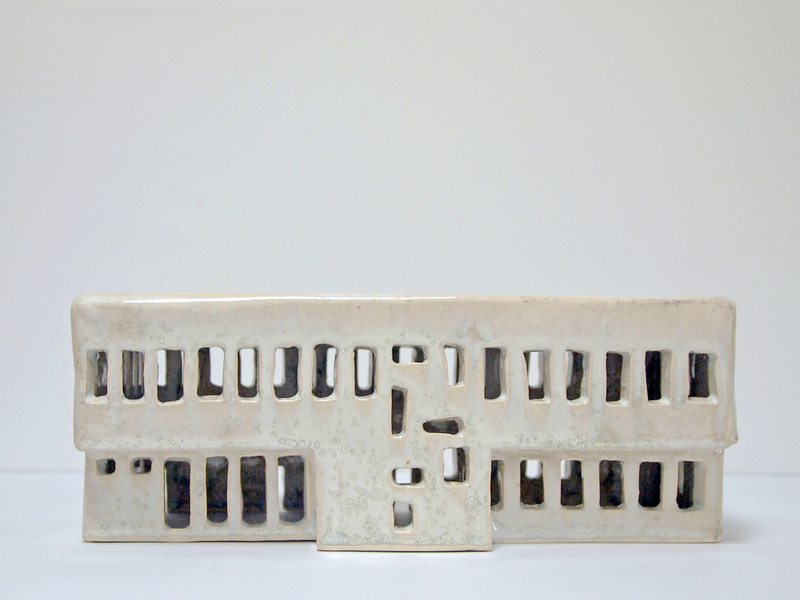 border control (2016), stoneware, included in Maquette, Ustka, Poland. “Maquette” is an installation guided by the concept of sketching with clay, thinking with the hand and using ceramics as a tool for design and architectural thought. During my residency at the Centre for Creative Activities, I explored and studied the local architecture in Ustka and neighbouring Słupsk. The exhibition is a collection of sculptural ceramic maquettes influenced by these built forms. This exploration involves a search for new architectural understanding, attempting to reveal invisible architectural forms and uncover unrecognised spatial concepts. This project has been assisted by the Australian Government through the Australia Council, its arts funding and advisory body. 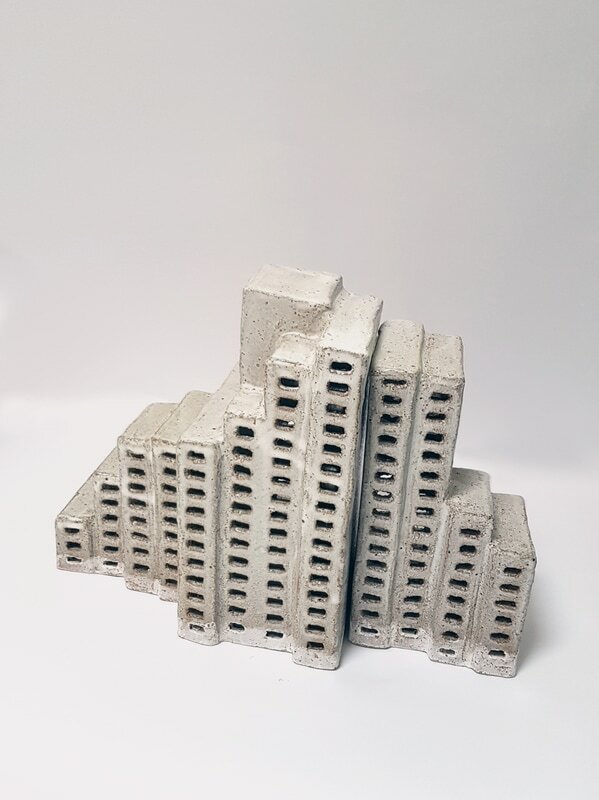 Natalie has been awarded a Development Grant for the duration of this artist in residency program at the Bałtycka Galeria Sztuki Współczesnej.